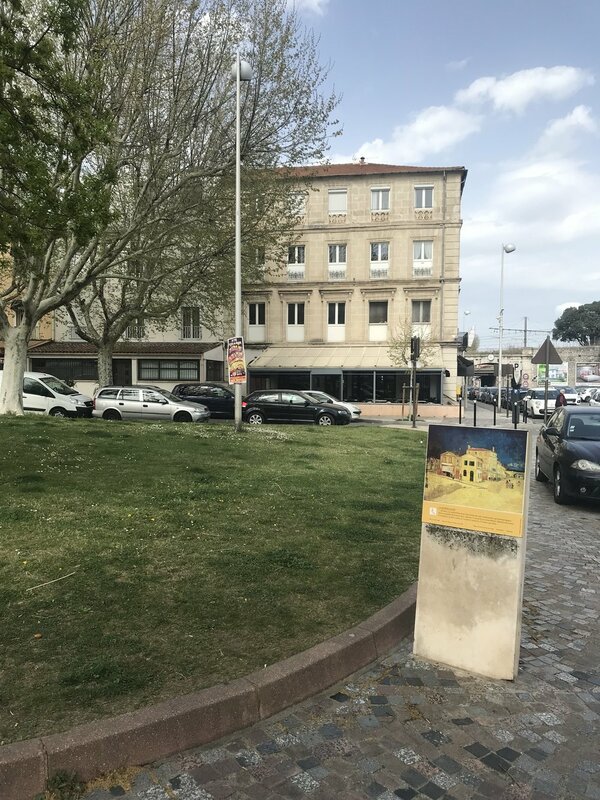 I visited the site where The Yellow House once stood in Arles, southern France, to pay my respects to Van Gogh. He lived in many dwellings in his life, and The Yellow House is the most famous of these, even though not a brick of it remains. This is where Van Gogh established his studio of the south (to which Paul Gauguin was briefly the other member) and where the bloody-ear incident occurred. He also drew and painted much of his most proficient and well-known work in this simple house, work which now hangs on choice walls in some of the world’s grandest galleries. In preparation for visiting the site, I took a 5-yen coin with me from Japan. 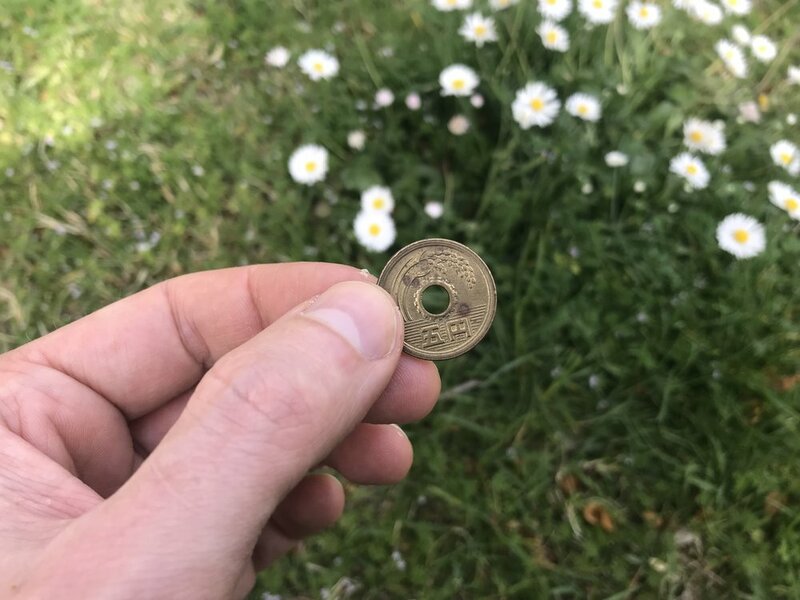 I wanted to leave something at the site, and a 5-yen coin was an obvious choice for a few reasons: Van Gogh was intrigued by Japan, so a Japanese coin would have pleased him. The word for 5 yen in Japanese "go en" (五円) can also mean a connection or relation (御縁), and a 5-yen coin is donated at Shinto shrines to establish a good connection with the shrine's deity. And, finally, I think that Van Gogh would have liked the 5-yen coin design, as it features agricultural imagery (water and rice), a subject he often painted, and it's the only coin in Japan with its value written only in Japanese (Van Gogh painted Japanese writing in a couple of his paintings). I pushed the coin as deeply as I could into the soil under the grass where the house once stood, hoping that it would remain there for some time.